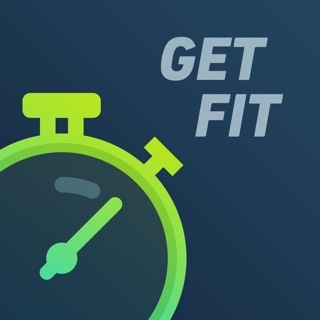 Reach your wellness goals successfully with GetFit: Diet app. Lose, maintain or gain weight - now everything is possible for you! Calorie counter, healthy meal planner, water tracker, BMI calculator - all in one app! Starting any new diet can be very challenging, especially knowing what and how much to eat. There is no need to wonder anymore. Find another way to stay in shape. Our app will help you focus on what’s important: your daily calorie intake. Just decide on your weight goal - the rest we’ll do for you. Start eating healthy and regularly 5 times a day. The app will tell you: when, how much and what to eat. As easy as pie! Get healthy and yummy meal plans based on your personal goals. Balance is the key: we offer best macro nutrition based on carbs, protein and fat you need to eat daily. With GetFit: Diet app you can manage your daily food diary in a matter of seconds! Just stick to the meal plan and see how great things happen to your body and thoughts. - Smart reminders to eat on time. GetFit: Diet is your personal guide that works for you. Start with small eating changes and see how these healthy habits make a big difference in your life. Eating healthy can be hard, but with calorie counter and daily meal planner, it is a way easier. Set goals and reach them with GetFit: Diet. Download now and get healthier and happier today! - 1 week for $1.99 without trial period. I really loved the setup and everything. But then I found out you have to pay twenty dollars a month... disappointed because I was really looking forward to using this everyday. I am very frustrated with this app and the developers because they charged me for a 1 month subscription that I have not used nor did I want!!! I have tried to contact them but there is no phone number or email which makes me even more frustrated! If I could give a 0 out of 5 stars I would. Do not waste your time! It is a good base program but, where is the actual meal plan. all I see is a another fancy calorie tracker not a meal plan. Also can I get my money back since I subscribe and canceled on the same day? Thank you for sharing the comments. Note that deleting an app doesn't automatically cancels an active subscription. However, there's no way the app can charge you without your consent. You were automatically charged after the trial period was over. Please keep in mind that you can cancel your subscription at any moment in your device's Settings (Settings / iTunes & App Store / Apple ID / View Apple ID / Subscriptions / Manage).